Welcome to Enviro Queensland, the official Queensland distributor for the revolutionary Thermoshield™ It's not just an insulating paint, but a Liquid Thermal Barrier! The Thermoshield Insulation Coating System is a Revolution in technology suitable for domestic and commercial applications and is applied as a spray thermal insulation system. Thermoshield has now become a leader both here in Australia and internationally as a recognised liquid thermal insulation system of the highest quality. Prolong cooling equipment life SAVE YOU MONEY! Is your roof looking a little worn or worse for wear? 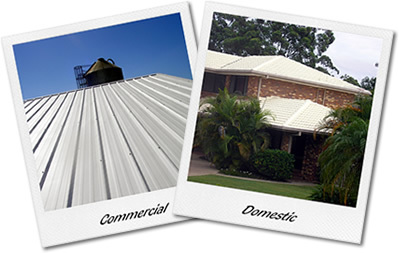 We can help restore your roof to its former glory. 18 years experience. All roof types! Need thermal or acoustic insulation for your home or business? Talk to us about an insulation solution to suit your requirements. We have a large range of waterproofing solutions for all external surfaces!